Drivers now have to leave enough space for cyclists when overtaking, or face a £100 fine. The Highway Code says there must be at least 1.5 metres (4ft 11in) between the car and the cyclist, which is roughly the width of a car door. Those who fail to leave enough of a gap will face a £100 fine. In this matter it is worth noting that many cyclists now use Head-cams which mean that they will have video evidence should you violate their safe space. Changes to smart motorway legislation could see drivers handed points on their licence for driving through a Red X Sign as well as a £100 fine. Driving under a Red X is already an offence which can result in a police prosecution. People learning to drive will from 2019 be able to use motorways if an instructor is supervising. This is a change because previously learners were banned from motorways. You may not be aware of the important changes that have taken place over the last months between IAM RoadSmart and Surety Insurance. Arrangements have now been put in place that any IAM RoadSmart Member with a “Fellows” Advanced Driving Test pass or with a Masters Advanced Driving Test pass will be given preferential insurance rates for their vehicles through Surety Insurance. Preferential rates have been available to Fellow Members since the inception of this Membership level in 2017, Masters Members have now also been included; what many do not realise is that if you have passed your Advanced Driving Test any time during the last three years then you can contact IAM RoadSmart and “convert” that Pass to that of a “Fellow” so allowing you to enjoy the better rates available. Having converted to a Fellow Membership you will then have to take a retest every three years, (as Masters will have to retest every five years), however the better rates will more than compensate for this so well worth considering. Become a Fellow Member and lead the way in maintaining your driving skills. Do always remember when discussing premiums with Surety that you should have done your homework and should have looked at other companies offerings so that you can present them with a “target” for your premium and do remember that, though it is not a highlight item, (for reasons that escape this Group’s Committee), insurance through Surety always provides a replacement vehicle in the event that your vehicle is off the road following an incident. For more information click here to go to the Surety Page of the IAM web site. The UK government wants to modify its ban on using mobile phones behind the wheel to allow drivers to use automatic parking devices. Drivers who push a button on their phone or key fob to make their car park itself could be running the risk of a fine under current laws, according to a consultation document. Remote-control parking is a feature on many high-end luxury models but the use of the features is fraught with legal risk; though this is the case the government claims it could “revolutionize” driving for all. Officials say it can aid those with reduced mobility and help people get into tight parking spaces, as well as making life easier for those with small garages. The Department for Transport cites research which claims the average driver spends 106 days during their lifetime looking for parking spaces. Under the current law, drivers can use a mobile phone only to contact the emergency services and if it is unsafe or impractical to stop the car to make the call. The consultation document says drivers should also be allowed to look at “hand-held” devices, such as a phone, to activate remote-control parking. The devices must be operated within six metres of the vehicle, if the driver has stepped out of it, seen as the safe distance to perform remote manoeuvres. 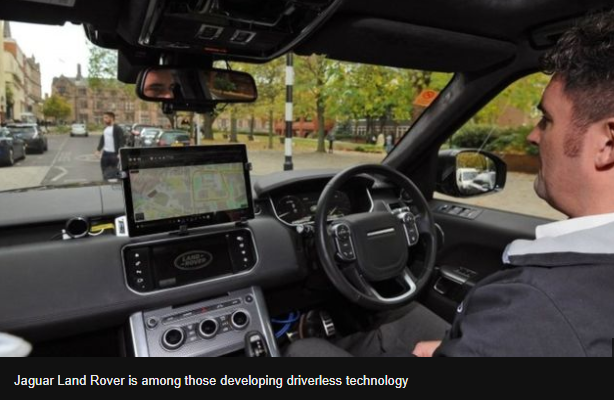 The document also proposes adding a new rule to the Highway Code, which would state: “You can park your vehicle via remote control, using a legally compliant parking application or device in an appropriate way which does not endanger others”. It also proposes rule changes to allow the use of advanced driver assistance systems on motorways, which take control of the car’s speed and position on the road. Drivers will still be advised to keep their hands on the wheel and pay attention to the road, but that may change when systems “which allow the driver to be out of the loop and divert their attention away from driving and where the vehicle actively monitors the driving for parts of the journey” become available “in due course”. If you have any thoughts about this and wish to have your voice heard then contact your local MP or write directly to Richard Gladman at IAM RoadSmart. There has been concern raised in the press regarding “loss of control” of a vehicle whilst using cruise control during heavy rain. The concern being that if a vehicle using cruise control starts to hydroplane then the cruise control will “accelerate” the vehicle and because of the hydroplaning of one or more tyres cause the vehicle to skid “under power” possibly causing a collision. The term hydroplaning is commonly used to refer to the skidding or sliding of one or more of a cars tyres across a wet surface. Hydroplaning occurs when a tyre encounters more water than it can scatter. Water pressure in the front of the wheel pushes water under the tyre, and the tyre is then separated from the road surface by a thin film of water and loses traction. The result is loss of steering, braking and power control. In normal circumstances the tread patterns and grooves on the tyres can dissipate the surface water that they encounter ensuring that the rubber of tyre remains in contact with the road surface however if there is a lot of water on the surface combined with the vehicle travelling at speed or the road surface has been dry for some time and now has fresh water on it, (which will mix with the surface oils), then the contact between the tyre rubber and the surface can be lost and control of the vehicle will be reduced. The normal effect of hydroplaning is that the vehicle speeds up for a few seconds because of the reduced friction with the road surface but then slows down as a result of the fact that power is no longer being transmitted to the road surface; the slowing of the vehicle in most cases causes the combined effect of the tyre tread and the weight of the vehicle, (a vector force perpendicular to the road surface), to cut through the surface film and re-establish contact between the road and the tyre. With modern tyre designs hydroplaning is a lot less frequent than it used to be though surface water on the road is always something that a careful driver needs to be aware of. Heavy rainfall should always cause a driver to reduce their speed to one where hydroplaning is less likely. The concern raised in the media is that using a cruise control is dangerous because it continues to apply power to the driven tyres despite the fact that they have lost contact with the road surface, this was true of “old” cruise control designs however newer vehicles fitted with cruise control will all cut the cruise control off if wheel slip is detected which is what would happen if the vehicle started to hydroplane. Notwithstanding this, cruise controls are a driver aid and the driver should remain alert and aware of the road conditions around their vehicle even if cruise control or active cruise controls are being used. In the event of a sudden downpour it would be sensible to reduce speed in any case and in so doing stop using the cruise control until it is safe to do so again. The media indicated that cruise control should only be used on dry roads however this is no longer necessary though cruise controls should be seen as the driver aid that they are and used with care as with all driver aids. The following attachment is a flow chart that details the progress and steps that will be followed by the average Associate on joining IAM RoadSmart with intention of becoming an Advanced Driver. The sequence may look a little onerous on paper however is simple and functional ensuring that all Associates get to being “Test Ready” at the earliest opportunity and with the best possible likelihood of getting a good pass in the test. (If you are an Associate reading this and need clarification of any of the details on the chart then speak with your Observer who should be able to answer all of your questions). The following sheet shows some of the more common acronyms and aide memoire used by members of IAM RoadSmart. This is by no means an exhaustive list but may help in remembering some of the basic advanced driving skills. This page contains a variety of documents relating to various aspects of advanced driving and safer driving. If you have any thoughts about what should appear here then please let us know. This is intended to be a resource regarding technical aspects of driving today. First published as a technical item in our Group Newsletter, repeated here as it has general informative appeal. Published in our Newsletter but worth repeating here.